In Illinois, some areas provide easy, temperate weather for flower and vegetable gardening, and can support plants year round, while other regions offer more of a challenge thanks to changing temperatures. Most of Illinois falls into U.S. hardiness zones 5 and 6, which means that winter temperatures drop to minus 20 degrees Fahrenheit, while summer temperatures reach into the high 90s. 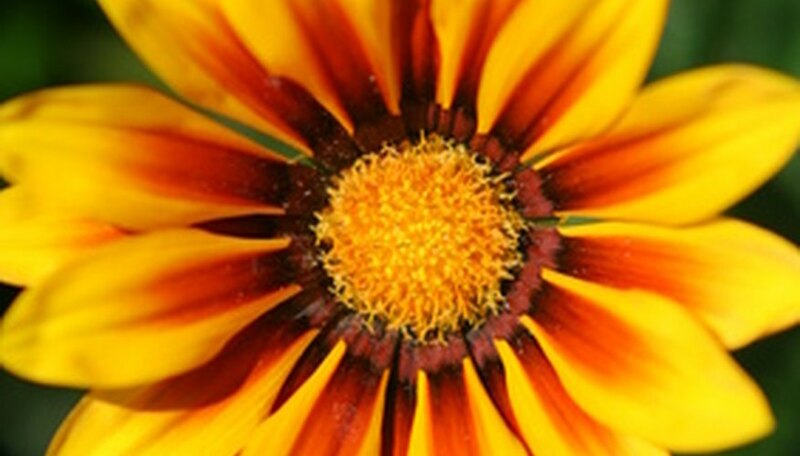 This wide temperature range determines which flowers will thrive and which ones won't. Most flowers prefer locations where they receive full, bright sunshine for at least part of the day. This is especially important in cold areas like Illinois, where the sun provides warmth and energy when external temperatures drop. During summer, when Illinois becomes hot and arid, it's important to maintain water and nutrition for flower gardens. Quick-draining soil, compost, mulch and at least 2 inches of water a week keep Illinois flowers from drying up and wilting during their growing season. In winter, it's important to protect outdoor plants and flowers as much as possible to ensure a healthy return in spring. Gardeners in Illinois mulch plants with up to 8 inches of mulch or soil, prune plants back before the first frost and even resort to blankets to protect flower gardens in winter. Some plants won't survive an Illinois winter, regardless of the amount of protection given. Illinois gardeners often keep particularly sensitive flowers like roses and lilies in pots and growing trays, to move them indoors for the winter and then set them back outside in the garden in spring. Plants and flowers native to Illinois are naturally adapted to that growing region, and provide relatively simple options for home flower gardens. Some native Illinois flowers include columbine, nodding onion, purple coneflower and goldenrod. What Types of Flowers Grow Well in Alaska? What Flowers Are Native to Florida?